If I wrote a column on milk protein concentrate (MPC) six months ago, when the Foreign Ag Service released year-end 2014 export statistics, I would have highlighted how U.S. suppliers made 2014 a record year for MPC exports. It was, in fact, the first time the United States ran an MPC trade surplus, and trends leading up to such a landmark performance suggested the growth curve was poised to continue. This year, however, the trade balance has reverted back to deficit, leaving one to wonder whether last year’s success was a fluke. While acknowledging today’s market imbalance and challenging market conditions, key U.S. MPC and milk protein isolate suppliers still believe the long-term message holds true. U.S. MPC and MPI success last year was not an accident. It was the culmination of market factors coupled with U.S. supplier initiatives to both displace U.S. imports and broaden the U.S. export portfolio. Once we emerge from this down cycle, those same factors and U.S. supplier investment to better serve the market suggest growth remain. The prime factor for optimism is MPC itself. MPC, by virtue of its high protein and low lactose content, fits global dietary trends toward greater protein consumption. It benefits from middle class expansion and development in emerging markets that has keyed a shift to higher protein diets—the same factors that have fueled global dairy trade overall. It benefits from nutritional research that suggests multiple health benefits from dairy protein consumption. We have only scratched the surface, for example, of capitalizing on protein’s positive effect on aging. Precise forecasts are difficult to nail down because MPC and world dairy markets are mired in this global imbalance marked by historically high milk production, an abrupt and prolonged Chinese import vacation, and the Russian trade embargo. U.S. competitors from the European Union and New Zealand, faced with more milk and the loss of their biggest customers have had to refocus their businesses. New Zealand’s move to better balance its product mix (i.e., reduce its emphasis on whole milk powder) and aggressive MPC pricing has led both to lower U.S. MPC shipments to New Zealand and significantly higher Kiwi MPC shipments to the United States. Low skim milk powder pricing coupled with the EU’s move to channel more milk into powder has displaced significant U.S. MPC sales to Morocco. But this is a cycle. In time, markets will correct and the U.S. MPC outlook will improve. The key for U.S. suppliers is laying the groundwork now to hit the ground running. One way to do that is to continue to educate about MPC use and make known U.S. supplier capabilities and desire to service the market. Many product sectors that utilize MPC are in their nascent stages in countries like China and Japan, two nations where the U.S. Dairy Export Council (USDEC) conducted MPC trade missions earlier this year. Then in July, USDEC hosted a delegation of Japanese food and beverages processors for a daylong technical mission at the University of Wisconsin’s Center for Dairy Research focusing on MPC, MPI, and whey protein concentrate and isolate. Both China and Japan have indicated interest in greater technical support from U.S. suppliers. Japan is familiar with MPC use, but unfamiliar with the United States as an MPC supplier. In addition, many people there still equate protein enrichment with bodybuilding, rather than overall health. The country would benefit, for example, from education on protein’s wellness benefits for aging individuals, a particular issue for the nation. China is fairly new to MPC altogether and in need of information on MPC functionality and applications. China prospects would benefit from an established standard of identity for MPC since many Chinese food and beverage manufacturers are wary of using it and unclear that it is even a food ingredient. The American Dairy Product Institute’s recent proposal for an official definition for MPC could help build trust and confidence in U.S. products. And it is particularly important not to lose sight of opportunities here at home. The United States leads the world in high-protein food and beverage product offerings, and more opportunities for nutritional and protein fortification with MPC are on tap. It is crucial to defend domestic MPC opportunities from international participants. It is not going to be easy here or abroad. The positive long-term MPC outlook and rising global demand in recent years have caused some U.S. export rivals to invest in capacity themselves, heightening competition no matter the market conditions. But U.S. suppliers remain on the right track and the pre-2015 MPC momentum will eventually return. 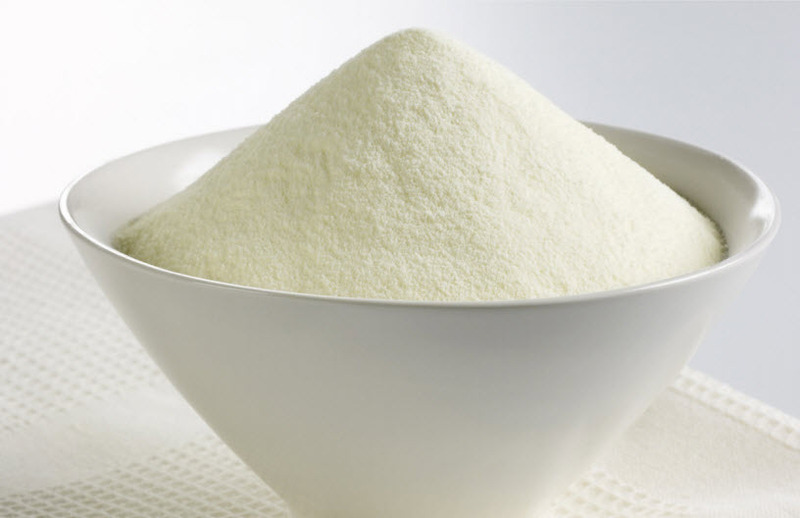 The following articles speak to the long-term growth potential of milk protein concentrate in world markets.